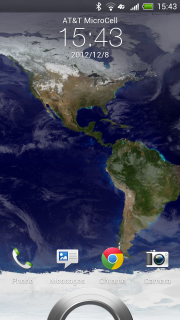 I’ve just released Catfood Earth for Android 1.10. You can control the center of the screen manually (the most requested new feature) and also tweak the transparency of each layer and the width of the terminator between day and night. It also starts a lot faster and has fewer update glitches. Grab it from Google Play if this looks like your sort of live wallpaper.